Geo/Social stalking is fun. 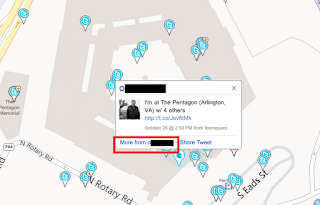 Bing maps has the ability to add various "apps" to the map to enhance your bind maps experience. 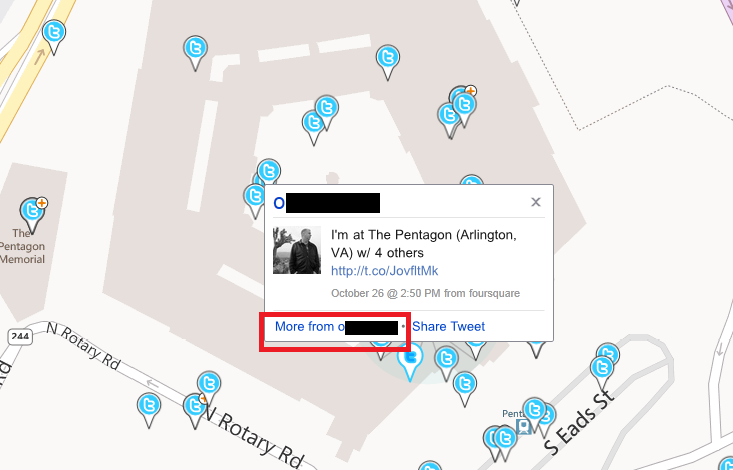 One of the cooler ones is the Twitter Map app which lets you map geotagged tweets. Once you have your places picked out, you can click on the Map Apps tab. Abstract: The talk focuses on 1D and 2D barcode applications with interference possibilities for the ordinary citizen. Ever wondered what is in these blocks of squares on postal packages, letters and tickets? Playing with them might have interesting effects, reaching from good old fun to theft and severe impact. Barcodes have been around for ages, but most of the time were used as simple tags with a number. The rise of 2D barcodes started to put them into customer hands as authentication, authorization, payment method and other arbitrary data transport. The implicit trust in them is enormous. The talk gives a very quick intro into barcodes and then proceeds to review the contents of selected samples, including their usage in the real world. This is going to be fun, tool release included. Make Your Own GPS Receiver! These are slides from a presentation called Jumping the Guard Page for Fun and Profit - Recursive Stack Overflows.